The 9th Annual Mencken Grave-site Memorial Service will be held Sunday, January 26, 2014 at 2:00 PM at the Mencken family plot in Loudon Park Cemetery. Signs will point the way to the grave-site. After the brief (less than 10 minutes) ceremony, attendees are invited to Spirits West Country Club, 2601 Wilkens Ave.
For GPS users: Google maps recognizes geographic coordinates and knows the cemetery’s roads. It does assume that the Frederick Ave entrance is open. The Frederick Ave entrance is closed. 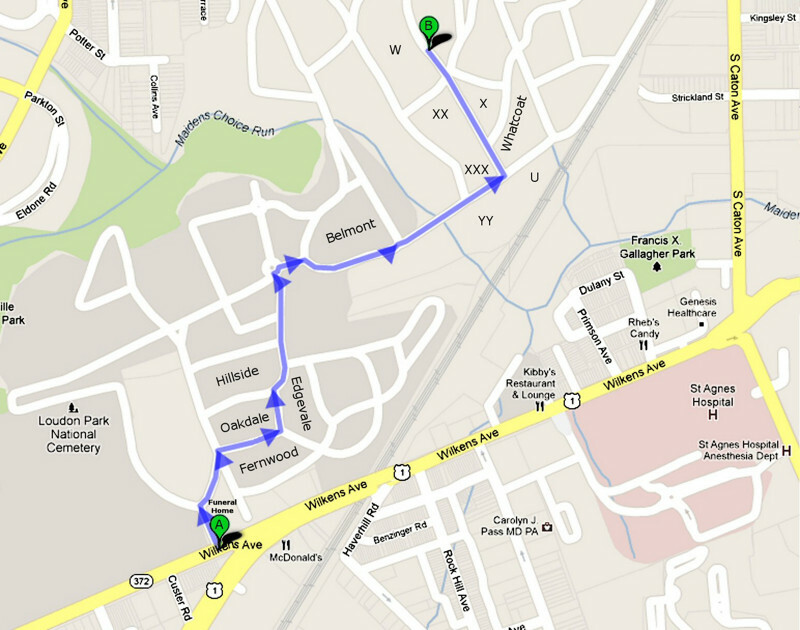 Split your trip into two parts: leg 1 will be from your origin to 3620 Wilkens Ave, Baltimore, MD; leg 2 will be 3620 Wilkens Ave, Baltimore, MD to 39.278217, -76.678050. A video of the 2013 service is posted on Youtube.